Nazan mainly specialises in corporate law, mergers & acquisitions, IT & data protection and competition law – with a significant experience in advising both local and international investors. She has excellent knowledge of regulated sectors and their needs, as well as a strong background in drafting and reviewing a broad range of contracts related to complex transactions. Her experience includes advising companies in different sizes and sectors ranging from insurance to life sciences. She led teams in a remarkable number of deals and also advised finance institutions in connection with complicated loan transactions and securities. Nazan is also a trusted advisor on daily business matters of companies with a deep knowledge of regulations and practice. She is described by her clients as being a great communicator, a pleasure to work with and always responsive. Prior to opening Istanbul office of Diri Legal, Nazan worked at Birsel Law Offices for more than a decade, which was one of the oldest and top tier law firms in Turkey. 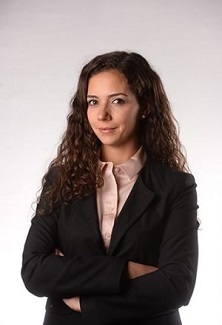 She is also a lecturer at Bilgi University, School of Law and a national representative of Turkey at International Client Consultation Competition. Nazan is a member of the International Bar Association and Istanbul International Law Institute.